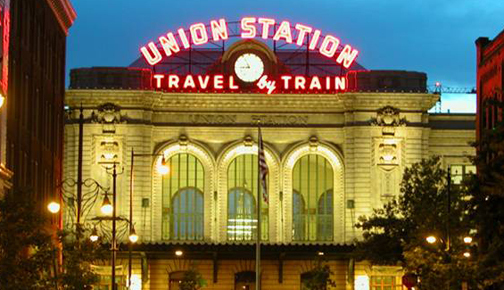 As the Union Station redevelopment is moving at a fast pace, RTD is getting close to deciding what will happen to the historic station. This is one of Denver’s first landmarks and is very important to the community. There are two very different plans which both have appeal. First is the Union Station Neighborhood Company’s plan to make a market. The market would have a variety of local foods, a restaurant, some office space on the upper floors and of course a train terminal. The second plan is by Union Station Alliance to do a boutique hotel. They would like to turn Union Station into a 130 unit hotel with main floor serving as a lobby and train station. They believe this will become “Denver’s living room”. Today the Denver Post had an interesting article about the debt financing for both plans. I personally believe that a market would better serve the community and support the 100,000 daily travelers better than a hotel. RTD will announce their decision on November 22nd. You can click here to give your feedback to RTD on which plan you would prefer.